This is an easy frosting to make and a sure hit with chocolate lovers. Use on Carrie's Chocolate Cake. Chop chocolate finely. In a medium saucepan over moderately low heat, bring cream, sugar, and corn syrup to a boil, whisking until the sugar is dissolved. 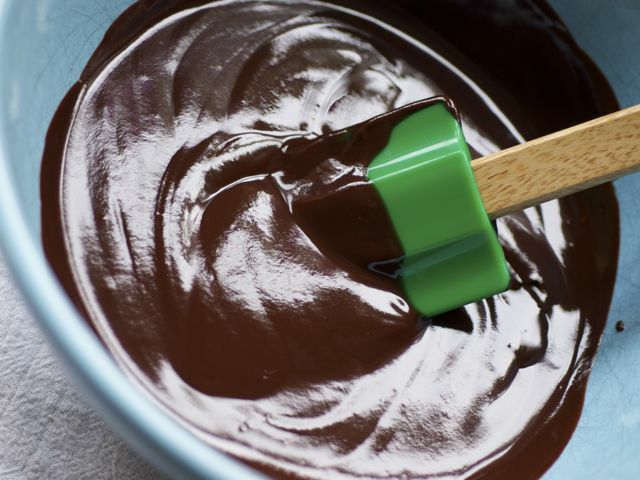 Remove pan from the heat and whisk in chocolate until melted. Whisk in butter until melted and the frosting is smooth. Transfer frosting to a bowl and cool, stirring occasionally, until spreadable.